Cleanup Crew? 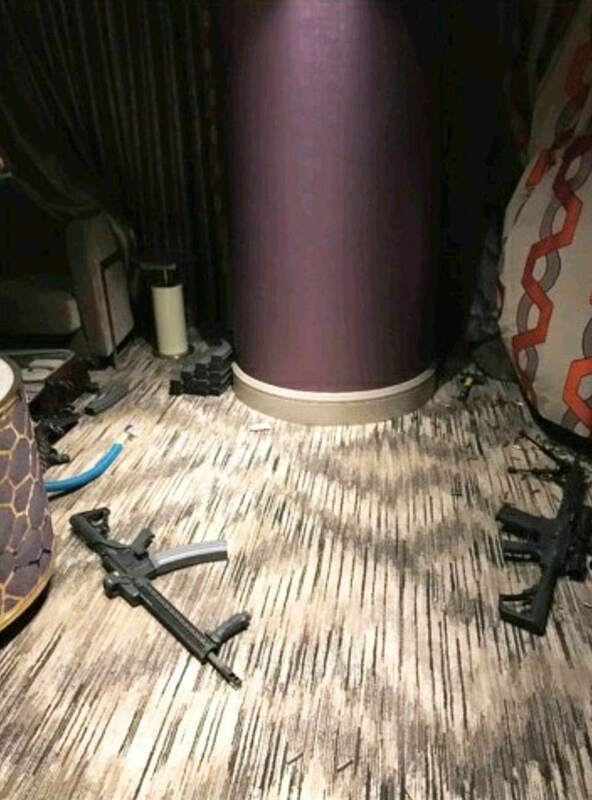 : "Break-In At Las Vegas Shooter's Home In Reno Confounds Police"
There's no longer any reason to believe the police in this case. The dramatic changing of the timeline on when security guard Jesus Campos was shot was the final straw. Listen to the Clark County Sheriff Joseph Lombardo BS his way through explaining the change, insisting it was "minute." It doesn't make any sense that Campos was shot 6 minutes before Paddock's attack began and police did nothing in response. MGM came out today and said the police's new timeline "may not be accurate" and people should expect the timeline to change again. I don't know if there was multiple shooters or not, but it's becoming clearer by the day we're being lied to and intentionally kept in the dark. They also tried to claim his "note" contained information on bullet trajectories, which they won't share with us for handwriting analysis, etc. 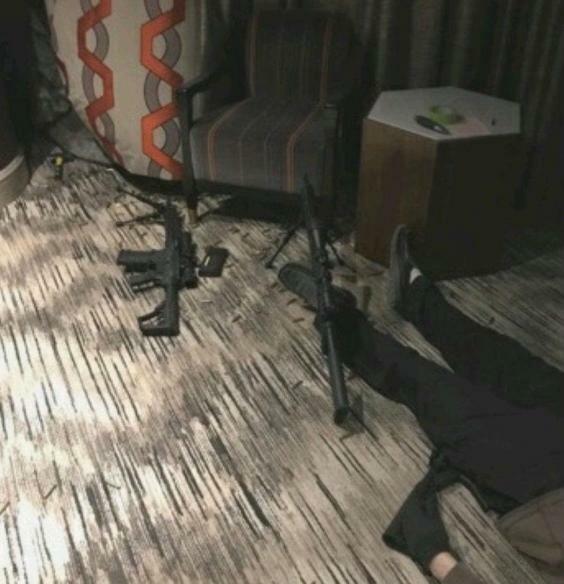 The shooter planned the hell out of this shooting, I guarantee he knew how to properly use a scope (he had multiple according to the pictures which were leaked). Today we learn his house was broken into over the weekend. FBI agents returned to search a house in Reno owned by Las Vegas shooter Stephen Paddock after local police told them that someone had broken into the home over the weekend. Reno police officer Tim Broadway said they were called to the house Sunday morning by a neighbor who saw lights on in the home owned by Paddock. “Nobody really saw anything, just a light was on with nobody in the residence,” Broadway said, according to the Associated Press. Broadway said officers discovered that "someone had broken into the house” and he immediately contacted the FBI. He added that the suspects broke into the home through the front door over the weekend, but said he was not sure exactly how they gained entry. Police are not aware of any damages or anything that was stolen. There are no suspects at this time or any descriptions of a suspect. The FBI is working with Reno police to ensure “there are no further incidents,” Broadway told the Reno-Gazette Journal. Paddock, 64, bought the house in the upscale retirement community in 2013 and lived there with his girlfriend, Marilou Danley. 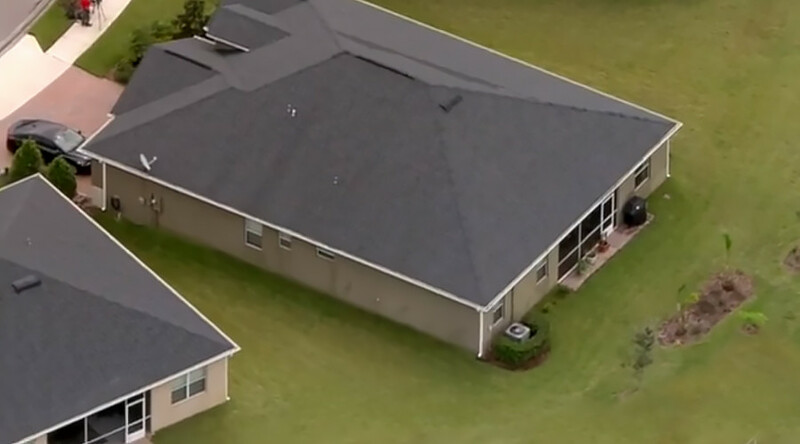 Investigators previously searched the residence on October 3 and found five handguns, two shotguns, numerous electronic devices and a “plethora of ammunition,” according to KOLO. How do they not know if anything was taken? Did they not take photographs of his property? This whole case reminds me of how the Florida Sheriff's Office investigating Casey Anthony only checked her search history on Internet Explore and not Firefox, where they later found she did a Google search for "full-proof" suffocation methods the same day her daughter was last seen alive. What we know for certain is Paddock chose to massacre white Christian conservatives at a country music concert, which is just about as close to a Trump rally as you can get.